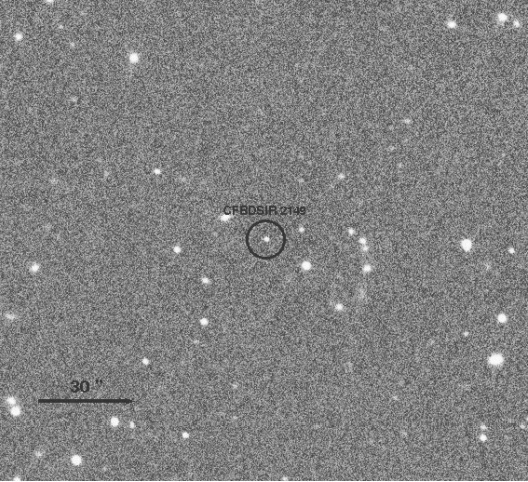 Earlier this week, news outlets and Twitter were abuzz with recent news of a "rogue" and "orphaned" planet detected "wandering" through space a mere 100 light years from us. I found this kind of reporting somewhat misleading, since it conjured images of a planet that was somehow flung out of orbit around its parent star, now left all alone in the cold... wandering... and even though the BBC article did a pretty good job of conveying some of the scientific conclusions, they still used quotes from the study's authors that sensationalized the "homeless planet" idea. Reading the research paper that announced the discovery, CFBDSIR2149-0403: a 4-7 Jupiter-mass free-ﬂoating planet inthe young moving group AB Doradus ?, I got a somewhat different impression. Philippe Delorme and his colleagues begin their report by questioning the dividing line between planets and star-like objects. Currently, the Astronomical Union defines a planetary mass as one falling below the necessary minimum for thermonuclear fusion of deuterium (roughly 13 Jupiter masses), with brown dwarfs and stars above that line. And while this new object weighs in far below that mass boundary and physically meets this criterion for a planet, there's more to the story. It seems CFBDSIR2149 is tagging along with 30 or so young stars (similar in both age and composition) known as the AB Doradus Moving Group (ABDMG). This association means it is likely about the same age and that it formed under similar circumstances. For this reason, Delorme, et al. 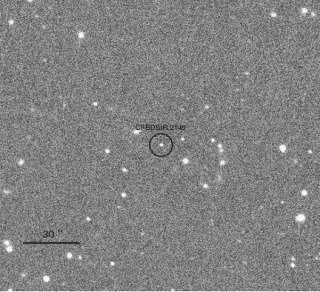 speculate that CFBDSIR2149 is an object resulting from stellar formation processes. And even though its mass is insufficient to burn deuterium, it should not be classified as a planet. What they think they know: CFBDSIR2149 is a free-floating substellar object with a mass of 4-7 Jupiter masses, a surface tempurature of ~700K, and is likely a member of the AB Doradus group of stars that are between 50 ans 120 million years old. Mars is getting a lot of attention lately. Truth be told, Mars has been getting a lot attention for quite some time: landers, rovers, orbiters, and Elon Musk and President Obama want to send people there. Mars One is creating a reality TV show to send contestants to the surface of Mars! Venus is right there every night (well, most nights)! It's the second-brightest object in the night sky, and its phases can be observed with binoculars. 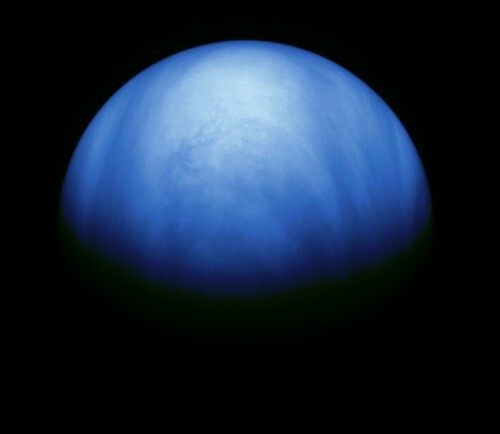 I've been interested in Venus for quite some time, and have always wanted to dig a little deeper into the subject. Be careful what you wish for! I'm currently taking a UND grad course in Astrobiology, and our final assignment is to write a literature review on an astrobiological subject. I chose Venus, so it's going to be all Venus, all the time for me. Check back, I'll try to keep the material coming every week or so for a while. 1. This is not at the surface... it is about 50km up into the Venusian atmosphere.